During the prosperous years of 1904-1917, large numbers of immigrants came to South Bethlehem. Conditions in Eastern Europe were catastrophic. Emancipation of the serfs had not changed things much. The hardships of the peasant class continued to be almost unbearable. One by one, individual family members responded to the glowing reports of life in America and the economic opportunities there. Those who came to South Bethlehem from 1910 to 1914 to work in industry included a small number of Russian Orthodox believers: they were predominantly from the areas around Minsk, Grodno, Volhynia. Poorly educated, they knew no language but their own, had few friends and no resources. The big dream was to earn money, go back to the Old Country, buy a piece of land there and settle down with a wife and children. But this was not to be--wars, famine, Bolshivek upheavals and the Revolution, as well as the Great Depression, kept most of them here. From 1910 to 1914, spiritual needs were met by visiting clergy. It is an important fact that althrough there was no permanent Russian Orthodox Church in Bethlehem at that time, our church records include official documents attesting to at least a dozen baptisms from 1914, and 22 for 1915. 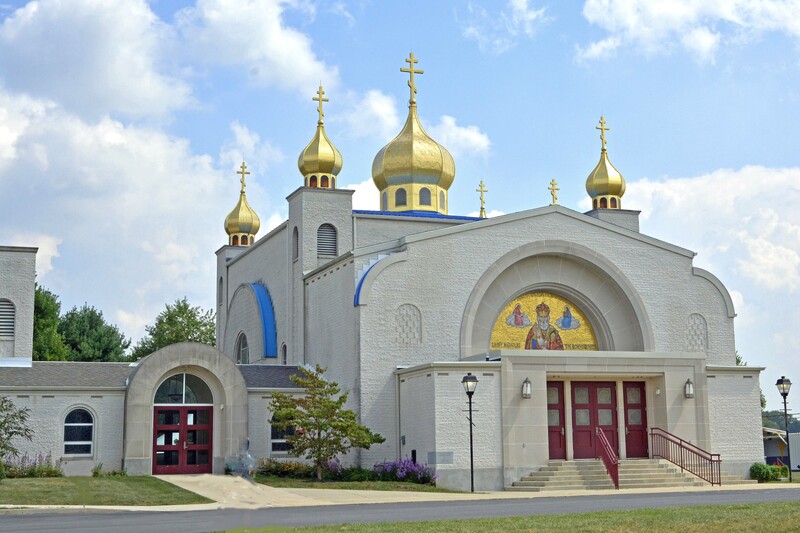 The seed for an Orthodox church of the southside of Bethlehem was planted by Holy Trinity Russian Orthodox Church of Catasauqua, PA. On April 29, 1914, authorization to collect funds for this purpose was initiated and continued for several years. This missionary activity led to the formal founding of St Nicholas Russian Orthodox Church in 1916. Initially, Divine Liturgy was celebrated in St Joseph's Chapel of the Episcopal Church; later that year, facilities of a Reformed Church were used. In 1916, a local landholder, not of the Orthodox faith, donated 5 building lots to the parish community for the purpose of building a church on East Sixth St, the site of the first Russian Orthodox Church in Bethlehem which was consecrated by His Grace, Bishop Alexander in 1917. The church remained on the southside of Bethlehem until 1979. The church on the southside was no longer in the geographical center of its membership and became too small for the growing congregation. Responding to the upward mobility of the second and third generation members of the congregation, the parish undertook the task of relocating and building a new edifice to meet its growing congregation. On October 21, 1979, His Beatitude, Metropolitan Theodosius, His Eminence, Archbishop Kiprian and the present Archbishop Herman consecrated the new edifice dedicated to St Nicholas the Wonderworker. 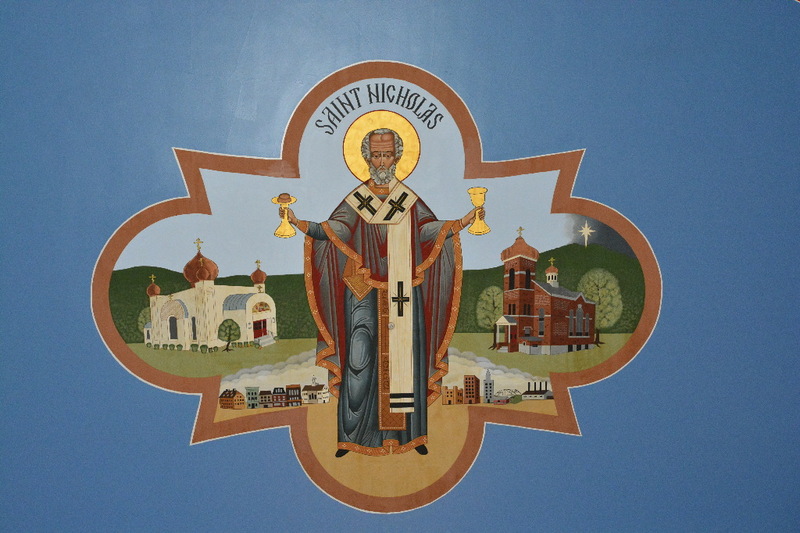 Over the next 20 years, the St. Nicholas parish community continued sowing the seeds of faith and forward-thinking planted by its founders, as parish life took on a new dimension. Increased spiritual activity, the explosive growth of parishioner participation in parish organizations, and an atmosphere of great vitality took root. With the needs of the parish changing and the ever-present maintenance issues mounting, the faithful, as generations before them, charged headlong into campaigns of hard work to raise funds to maintain and beautify the temple. The Pierogi Project and the fund-raising activities of the Ladies Altar Society (longstanding bulwarks in the parish) were and continue to be mainstays of the fundraising aspect of parish life. The inauguration of the annual Russian Days Festival in 1981 has rallied the membership to work hard for its church, and today the festival has grown to such heights that our parish enjoys a reputation in the community of being a truly committed Body of Christ because of its efforts to reach out to the community in fellowship. The Church School has enjoyed its highest enrollments in the history of the parish for the past several years, and the efforts of its superintendent and faculty continue to be focused on building and maintaining a superior center of Orthodox education for the parish youth. These programs, as well the ever-growing efforts of all parish organizations, signify tremendous strides towards the building of a lively church that has followed in the glorious traditions and spirit of our faithful founders. With the increased growth and development of the parish, it was again time to revisit the needs of enhancing and improving the parish facilities. A planning committee was established, and it worked to poll the members as to their needs and plan financial strategies for the future projects. It was decided to make physical expansions to the church, the center of which was the building of an adjoining fellowship hall capable of seating 300 people with expanded kitchen facilities, new offices, expanded classroom space in the renovated church basement. The church vestibule to accommodate the expansion that also includes an elevator. A second project that was undertaken at the same time was the beautification of the interior of the church with installation of icons on the walls and ceilings. These icons were written in traditional Orthodox style by iconographer Dennis Bell of Ohio. Many of the icons were donated by parish organizations and members in memory of their departed loved ones. Both of these projects were completed and dedicated/blessed at the occasion of the parish¦s 85th Anniversary, held on October 6/7, 2001.